Lather, rinse, relax and repeat! 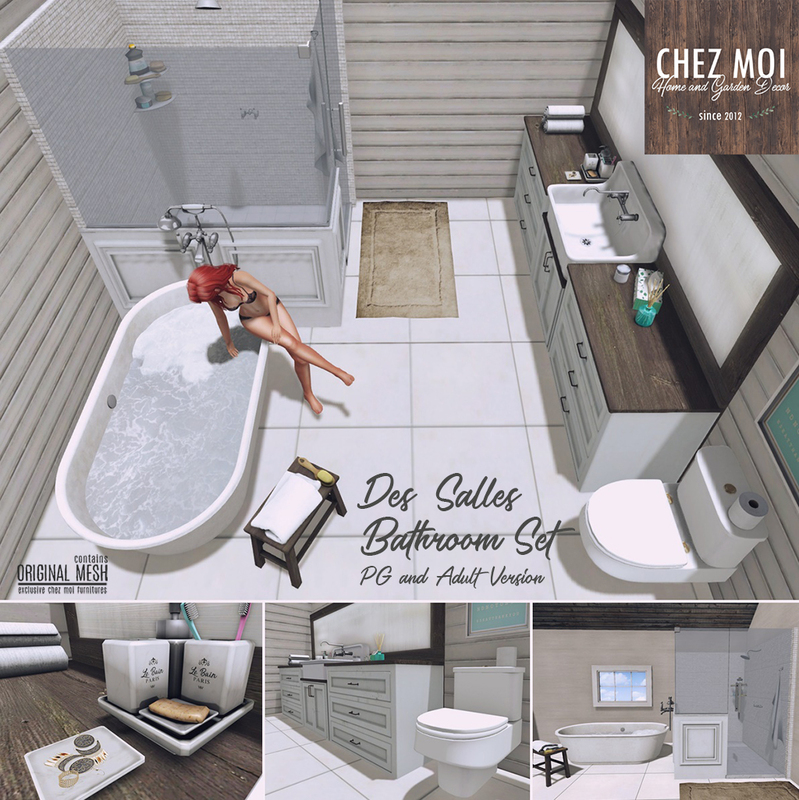 This fully interactive Bathroom is perfect for long and relaxing showers or hot baths. 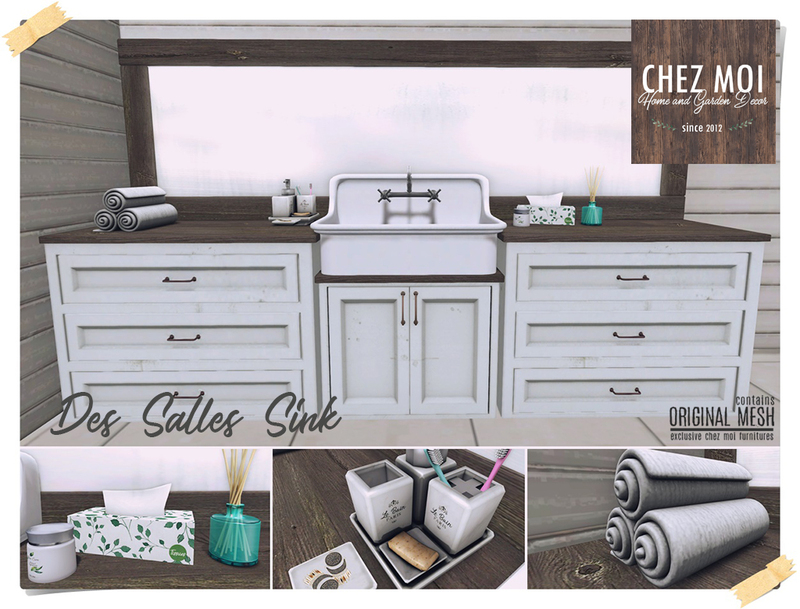 The sink comes with 7 animations. Also, touch the drawers to open and close them. 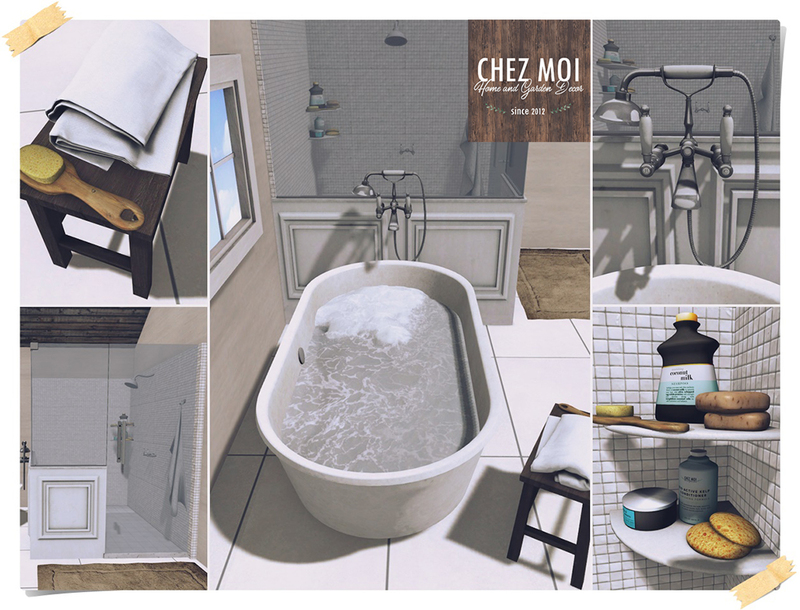 This set is available at CHEZ MOI MARKETPLACE, or for a closer look visit our IN-WORLD STORE.